All of us simply can’t wait for the shoot-out comparing the two. Well, that opportunity came sooner than I expected. 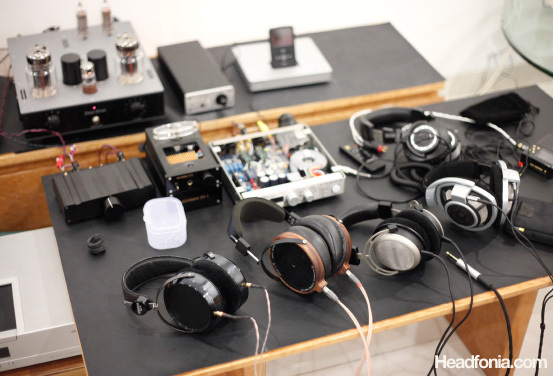 Last weekend we had a mini meet at the Headfonia office, and although the dynamic kings, the HD800 and the T1 were present, all eyes were directed at the planars. Both planars are very well tuned, and the frequency balance are very good for both of them. 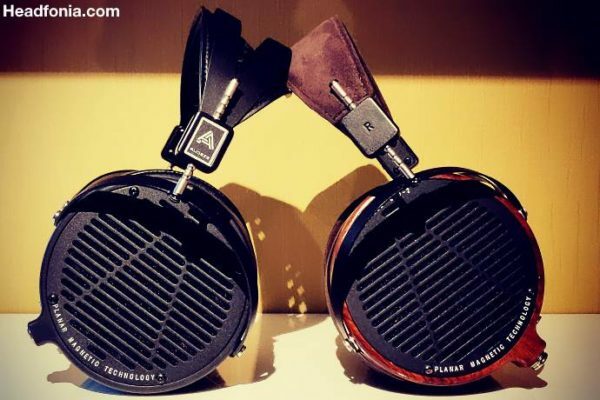 The LCD-2 was darker, the HE-6 was less dark. 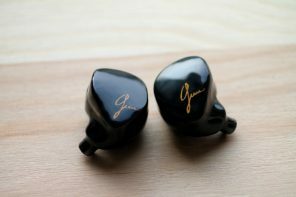 Treble lovers may have a hard time adjusting to the LCD-2 as they have had with the Omega 2, while the HE-6 has better treble levels, though still quite far from bright. There is no doubt that the treble of the HE-6 is the better one. Truly and easily the best treble sound I’ve heard, and that includes all the big heavyweight full sizes. There was no debate here, everyone agrees that the HE-6 had the treble to die for. It was clear and clean, with very minimal sibilance level. In a way not as extended as the HD800, but still more extension than the LCD-2 and the roll off point is quite high that it’s not going to be an issue with most people. How they created a treble like this is beyond me. The Beyerdynamic T1 is another headphone that has a great treble, but it just doen’t reach up to the level of the HE-6. It was clear and clean and so effortless. Almost as effortless as the Omega 2 Stax, but much clearer sounding. The spotlight is on the two super-Planars. The LCD-2 is recabled with Jena Ultrawire, which smoothens out the treble and adds a tad more extension. The midrange is fairly debatable, although on the Zana + Beta22 set up, I did prefer the HE-6 midrange as it has a better presence, sounds fuller, and yet again sounds clearer. The LCD-2’s midrange is a little less present, was darker and had less clarity. But I won’t draw the conclusion yet as different amplifiers can change the final outcome. The powerful bass beats of the LCD-2 won the heart of everybody. It hit hard, and it hit low. I really can’t think of another headphone that hits bass as hard, as tight, and as low as the LCD-2’s. The HE-6 had a good bass, but its punch was mostly in the upper-mid, and didn’t go as low as the LCD-2’s. The LCD-2’s bass is just awesome for heavy bass stuff like Incubus and Prodigy, while the HE-6 won’t quite cut it. For classical, however, the HE-6’s bass is better as it has a better extension, where the LCD-2’s low frequency cut off is more obvious. 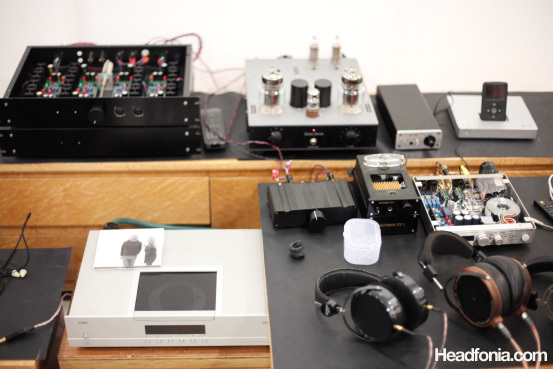 On soundstage, the LCD-2 is clearly better although it sounded more closed than the HE-6. The LCD-2 had a proper imaging presentation, good depth, and a more accurate positioning. The HE-6 was more open sounding, but lacked the center soundstage focus and positioning. It had a great instrument separation, but the lay out of the soundstage is quite all over the place and not too accurate. The last time I compared the LCD-2 was with the Stax Omega 2. Back then, I didn’t notice the frequency roll off of the LCD-2 and the lack of low level details. This time, against the HE-6, I simply can’t ignore the differences in low level details and frequency extension. As I listen to Classical symphonies heavily, these factors bothers me a lot. The LCD-2 also had reverb issues that I heard coming from the midrange to midbass frequencies, while the HE-6 was completely clean of those reverbs. However, I’m aware that the issues I outlines will be more of an issue to Jazz and Classical music listeners, and less for other genres. 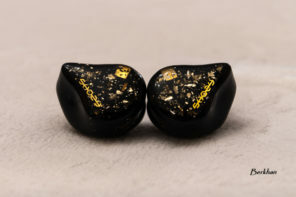 On the other hand, the more powerful bass of the LCD-2 is going to win a lot of Rock and Electronica fans, and the darker sound will also pair with bright recordings better. Ergonomics wise, I liked the leather pads on the LCD-2 as it is more friendly to the skin. The LCD-2 also seals and fits better, but it also causes my skin to sweat faster. The HE-6’s pads are less comfortable, but it seals less and less sweating for long listening sessions. 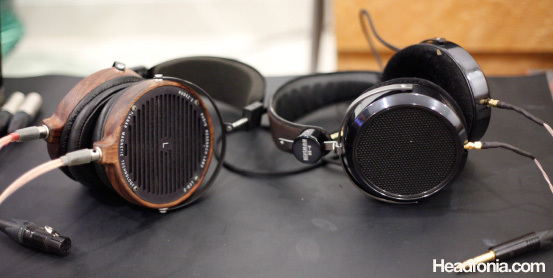 I didn’t weigh the two headphones, but the LCD-2 with the more powerful clamping force felt heavier on my head. The LCD-2 was definitely much easier to drive than the HE-6. I tested it briefly on the Zana Deux, and the Zana was able to drive it without any problems, although I didn’t test it with bass heavy set-ups. The HE-6 is much tougher, though with good entry level amps like the M-Stage and the EF-5, it shouldn’t be that big of an issue. In comparison to dynamic kings, the planars clearly fall short on many technicalities (except transients). However, while the HD800 and the T1 can be likened to automobiles like the McLaren F1 and Ferrari Enzo, the planars were more like a Corvette and a 911. You can take a Corvette and have fun with it on regular roads, where the F1 and the Enzo needs a proper road, supporting crew, a good skilled driver before you can see their true potential. Likewise, the Planars had the sound signature that works well with the majority of music, and it can still be enjoyed on lesser set-ups, while the Dynamic kings require a truly proper set up to shine, and even then it still doesn’t have the genre bandwith of the Planars. Between the two planars, it’s hard to say which is the better headphone. Both have their own strengths and weaknesses, and both have a very good signature that will cover a lot of genres. If I need to choose just one, I think the LCD-2 carries the PRaT a little better for aggressive music, where the HE-6 have a better refinement for medium to slow-paced music. But again, both headphones have pretty identical genre bandwith, and it’s not like you can’t use the HE-6 for aggressive music, or the LCD-2 with Jazz. The HE-6 has a better treble that’ll let you hear instruments better, but the LCD-2 has a better low bass. Both are first class headphones. The HE-6 has an issue with the center soundstage, but some pairings like the EF-5, the M-Stage, and the TK2350 T-amp fixes that issue pretty well. What I can say is, don’t blame me for making the choice so hard. Buy both and sell the one you don’t like later. Big thanks to calico for bringing the LCD-2. A brief look of the set-up. The big amps used are at the back. I didn’t compare the headphones on balanced, since we didn’t have a balanced cable for the LCD-2. The planars and the dynamics. Source: Onkyo ND-S1, Grace m902. Amplifiers: Zana Deux (preamp stage), Beta22 (power). This site keeps getting better and better at entertaining head-fiers. Thanks for the great article Mike. Also, good to know you like Incubus as well, now I can rely on your opinions even more! Lol Jose, I’m not that big into Incubus just because I’m a bigger fan of Beethoven, but I think their music is good stuff..
Oh well, that is apple and oranges. Could you possibly describe this low frequency cut off on the LCD2 for me? I can definitely feel (hear?) 16hz from a sine generator from them and I don’t understand how much lower you could really go? I have seen it described elsewhere as there is better impact from the LCD2 but the HE-6 goes “much deeper” which I just cant seem to wrap my head around. I just don’t understand where there is room for a “much deeper”. It would probably be best to hear for myself but I don’t have access to an HE-6 and am reluctant to buy one while building amps that it seems will be ill equipped to power said headphone. The ehha is nearly completed in SE form except I broke 1 piece on 1 of the boards so only 1 channel is working at the moment… will decide if I should expand it to be balanced or just go straight into building the b22. If you do not mind my asking what is the gain set to on your b22 boards? Good question. I can definitely feel the low-bass cut off earlier than the HE-6, although the LCD-2 punches hard, at lower frequencies. (that may mislead some to feel that the LCD-2 has lower extension). Haven't done a 16hz sweep, and since I no longer have the LCD-2, then it would be hard to test that. What I found out on other headphones is that while you can always force a headphone to play a single frequency (say @16hz) and hear the effect audibly, it doesn't always perform linearly when you are playing more complex music with several instruments playing at once. Also, as I pointed out, the frequency cut off may not be obvious on mainstream music. Very few people notices the roll off of the LCD-2 and the low level detail until I play them a Beethoven Symphony. So, it's all back to the recording. For some music, frequency response curve, bass punch, is more important than extension and technicalities. I tried just now to play a 16Hz, 8Hz, and even a 4Hz sine wave, and listened to it with my lowly V-Jays headphones. The V-Jays plays it just fine and I can hear an ultra-low bass. I also tried it with the HD580 and clearly the sound is there. Weird isn't it? I begin to think, when you play an ultra low frequency like that, does the headphone actually outputs a true 4Hz, or is it a distorted attempt at playing 4Hz? 4Hz audible on human ears?? Thanks, David. So what about the 16Hz that Bebop heard on his LCD-2? 16Hz tone may could be heard by certain people… or.. Your explanation is always very enlightening, David. Thanks! That is what I call get in and quickly get out review, despite being that,it is a very precise and to the point comparison. Thanks for the nice rightup. So Mike, if you were held up at gunpoint and forced to choose only one, which one would it be? LOL I know its a personal taste question but I am curious to know which one delivers the soul of the music more to your heart. Lol. You know, it would be easier to answer that if both Audez'e and Hifiman were our sponsors. (Only Hifiman is, at the moment). People love to take statements out of context and find ways to discredit our reviews. Anyway I'm going to take the risk of being flamed at, and answer the question with all honesty. Hey Mike. Thanks for the review and awesome photography (as always). I was wondering if you could please clarify what you meant about the bass performance of these two cans on the first page. You say the "HE-6 didn't go as low as the LCD-2" but then you go on to say that the "HE-6 has better [bass] extension", which is the exact opposite of your first description. So, which is it? Also, could you elaborate on what you meant by: "in comparison to dynamic kings, the planars clearly fall short on many technicalities." In particular, where did you feel the HD800s exceeded the planars? Let’s discuss the bass first. The HE-6 is quite weak on low bass. The LCD-2 is awesome on low bass. Now the dynamics & planars question. The one thing that planars have an edge is transients. But technicalities are more than that. Low level detail is not very good on both planars, and even the Omega 2. Good transients sometimes give an impression of detail, but it’s not. Then you have the treble extension, which the dynamics clearly pass ahead the planars, including the Omega 2. Then you also have the problems with the soundstage image. The LCD-2 is the best among the HE-6 and O2, but it’s still nowhere close to the HD800’s soundstage imaging (and I’m not talking about soundstage size either). Then the layering, the front-back presentation, the smoothness and refinement. Also, I find the top dynamics to have a better ability to follow the recording and mastering (i.e sound forward on forward recordings, and laid back on laid back recordings), the Planars consistently present the same presentation that is inherent in the headphones. In a way this makes the Planars easier to like, as they are more consistent. Lastly, with the LCD-2 I also find it to have reverbs which is an issue for classical music. The Planars, and especially the O2, also have a very likable sound presentation with a very wide genre bandwith, where the dynamics are more limited in that sense. But for a reference, testing amplifiers and especially sources, the HD800 remains the headphone that lets me see the differences better. At the end of the day, it all depends on the music. 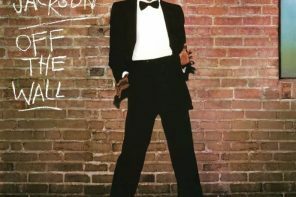 Most people listen to Pop and Rock, and they may not see the problems with the technicalities as if they were listening to Classical. The modern planars have passed a certain mark where their technicalities are good enough for the majority of music out there. Music is also more than technicalities. As good as the HD800 is, it can never play progressive Rock properly. I didn't label the exact cut-off points, as my ears are not that sensitive. But the HE-6 bass would be similar to the top chart. Extends longer, but weaker. The LCD-2 is more powerful at lower frequencies, but cut off sooner, like the bottom chart. Considering that the LCD-2 measures ruler flat down to 20Hz, whatever extension below that would be completely useless, so this is a non-issue. Yes, I totally understand. Hence the Trio articles — since that still represents the sensible point for the majority of people. When providing details of the TK2050 Tripath amp,please give us links on places from where we can order it. LOL. Sorry Kunal. I've got to ask David, since he was the one who bought it. I believe that like all DIY projects, they are sold in batches. Anyway, I'll ask David and get back to you. Tripath Amps offer incredible high sound quality at a ridiculous price. You really have to forget everything you have learned about price/performance ratio to understand how these can sound so good. One of the keys to this is very simple and efficient curcuits. There also seems to be something special about the tripath chips when compared to other class-D amps. Hifimediy focus on amps using the Tripath TC2000 controller chip together with differnt output stage chips. These offer better sound quality and more power than the lower powered tripath amps (TA2020, TA2024). All the amps come preasembled, just as pictured. The Hifimediy boards are developed and made in Fuzhou, China, by Y.Yubing. I am his distributor, an european living in Shanghai. I discovered the tk2050 board here. I had been using tube amplifiers for a long time but was still openminded enought to give this cheap amp a try. And I was shocked how big the difference was in the cheap tripath amps favor. It sounds nice and smooth like a good tube amp, but so clear, real and powerful. 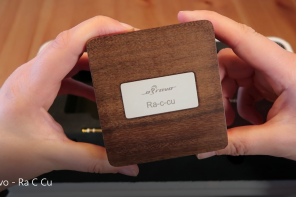 I wanted to bring this incredible amp to others outside China, so I ended up as Hifimediy’s international agent. This is not my fulltime job, my main job is as a jazz musician. As I have some free time on daytime this seems to work as a good combination! I also sell these amps on ebay. However the prices is more expensive there because of ebay’s fees. This is the Meanwell SMPS said by many users to sound better than traditional transformer when powering class-T and class-D amps. This is the 27VDC model, can be adjusted from around 24V to 33VDC with the pot in the lower left corner in the photos. I suggest keeping it around 27-28V when using the amt2050 board. Talking about the big boys, any chance to see a review of the freshly released Sony MDR-Z1000 on Headfonia? I'm so curious about this one! I know. The Z1000, right? I really don't have the means to get one right now, and Sony Japan isn't exactly responding to our emails. But everything is always possible, we'll see. Ok Mike, hope Sony Japan will one day consider Headfonia, as it is (without any flattering, really) becoming the best site about headphones. Thanks!!! Thanks, Cedar. I saw the plexrecords.com link under your nick and decided to check it out. Looks like a recording label? 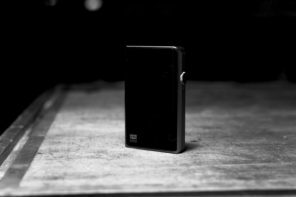 "LCD-2 is going to win a lot of Rock and Electronica fans, and the darker sound will also pair with bright recordings better." I know. It's awesome for Incubus and Prodigy. Simply unbeatable. Although my friend who "specializes" in Incubus prefers the T1 due to its even tighter bass. But the T1 is indeed quite bright in comparison to these phones. I certainly would enjoy to chat with that "specialised" friend of yours about incubus's sound on different gears. The T amp definitely can't match the technicalities of the B22. However, the sound is very good. Very clean sound, sweet midrange, and plenty of power. Please wait for the review for the full report. I'm probably the “specialised” friend (sound corny isn't it? 😀 )that mike talked about. Mike, we need speaker amp or maybe greater gain B22. Did the bass impact improve with the T-amp,could youadvise what RCA connections to be used to the amp. I believe the amp is all bare-bones. A few months ago I bought a pair of RCAs and since that’s the one I have around, I just use that for the TK2050 amp. No WBT, but supposedly quite decent as recommended by a local DIY store. I did a search on the amp and it gives me a 300WPC speaker amp. Is that the one? I think mike should have more accurate answer in his upcomming T-Amp review, the rca connection I believe called "conex" by our local electronic store. these look solid and heavy. 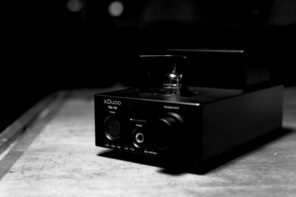 Do you have access to a Red Wine Audio amp? Like a Sig 30.2? Might overcome the noise issues inherent in using a speaker amp to drive headphones – on battery power it's about as black a background as you can get. It is also a Tripath amp, TK2051. I did mention that in the T1 amp section, the battery power would provide the darkest background. Unfortunately no 30.2 over here. Yes I can see how it would give the same clean sound as the TK2050. Hi! Would you say that LCD-2 synergised well with the Matrix M-Stage? I think the darker sounding LCD-2 would be more to my taste, but i couldn't possibly spend another 1k on an amp. So I am looking for an affordable intermediate solution, much like the HE-6 + EF-5 package offered by head-direct… BTW love your site! I didn't try out the M-Stage with the LCD-2 as I tried to use the best amplifier I had at that time. However, I'm very well acquainted with the M-Stage at this point, and I think I can give some useful pointers. The M-Stage is one of the most interesting entry level amplifier we have on the market today. It's reasonably affordable, and yet the power output is quite high, as you know it drives the HE-6 quite comfortably. It's not quite meant to be a high end, refined sounding amp, but I think it should be good enough for the LCD-2 as it is not as picky about amplifier refinement as say, the HD800 is. In short, yes I think it should be a good intermediate solution for you. Mike, are you going to be doing a 4-way comparison review between the HE-6, LCD 2, T1 and HD800? I don't think that would be necessary.. I did a fairly in-depth comparison of the HD800 and the T1 a while ago (http://headfonia.com/hd800-t1/). And I also think that this article covers most points that people are interested in knowing about the two Planars. Near the end I included a short paragraph on how the Planars compare to the Dynamics. If I were to do a 4 way comparison, I think I'm just going to be repeating 95% of the things I've said on these two articles. I don't know, what do you think? Perhaps there are some aspects that you'd like me to cover? Hey, what do you think about the current interface/look/design? Oh wow, I've never knew you posted a T1 vs. HD800 comparison review. Thanks a lot! Hi mike iv been looking up high end headphones endlessly lately and am very eager to make a purchase. I listen to mostly hard rock/heavy metal music and iv noticed that people seem to either promote the the Beyerdynamic t1's or these cans the Audeze lcd-2's and I'm wondering if you could please illustrate the differences in the sound signatures for these genres with these headphones for me. Also I'm wondering if i get a pair of really high end headphones like these would it make it easier to understand harsh/extreme metal vocals? I love the music but i hate looking up the lyrics and I'm wondering if getting a setup like this with a proper dac and amp would make it possible to understand without looking up the lyrics. Also are their any other high end headphones you would recommend for these genres as well? I think these are the two top ones but don't want to go out and buy one finding out later i didn't research well enough. Actually I think you can include the HE-6 into the list of options as well. My friend who listens to exactly the same genre as you do ended up choosing the HE-6 out of the lot. He was really into the T1 before. He also listened to the LCD-2, but finally he ended up choosing the HE-6. The T1 has the detail level, so it'll let you hear the details in the vocal better. 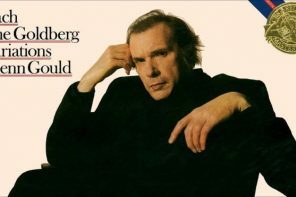 However, it may also be tiring to listen to if the recording is quite bright. (I'm not too familiar with Hard Rock and Metal recordings so I can't say much here). The HE6 ranks 2nd in terms of detail. Its treble is also brilliant and not as hot as the T1. And frequency balance wise, it's in the middle of the two headphones. Not bright and not too dark either. The LCD-2 is the darkest sounding one. Are you okay with dark sounding headphones? It probably will be the safest in terms of treble hotness, and the bass punch of the LCD-2 is the best of the three as well. Very tight and also very punchy. I think that is probably enough for now. What headphones have you liked in the past? That'll help in deciding which headphone will probably suit your taste better. 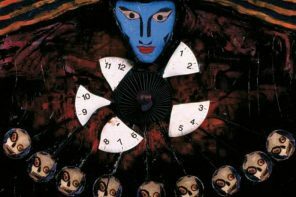 I know this might sound kinda uneducated but i don't know much so if you don't mind im kinda wondering what you mean by bright dark and the treble i think treble has to do with the guitars and such( not sure though) where bright and dark I'm kinda clueless also what did you mean by treble hotness/brilliance and a bright recording plus frequency balance? Thanks. Dark headphones have little treble quantity, while bright headphones have much treble quantity. Some recordings have a lot of treble quantity, while other recordings have little treble quantity. Now, you can see it like a simple math. Recordings that has little treble quantity would sound better with headphones that has much treble — aka bright headphones. And likewise the opposite — bright recordings should pair better with dark headphones.When you have too much treble (bright), this is what I call a hot treble. The result is a piercing sound to the ears because of too much treble.When you have too little treble (too dark), things sound dull and lifeless. So, you need to know where things stand in this respect.Say you go and buy the LCD-2 which is dark sounding. When you plug it in, you may find a good amount of treble detail, but you may also find it too dark and not lively enough. Or if you go with the T1, you may find there is too much treble and your ears hurts after 15 minutes. I can't say which would suit you better in this case because people have different tolerance to treble levels. Or you can get the HE-6 which is a middle line between the two. But you'd need a powerful amplifier for it, and I'm not sure if you have one. The LCD-2 and T1 are easier to drive but they also require a good desktop amp. So, you will need to allocate another $500 for a decent amp and $300 for a decent source. If you have the cash, then great. Otherwise, I advice you to start with a $100-$200 headphone, get a proper amp, source, and start learning things bit by bit. High end headphones are like supercars. They're nice and fancy, but you're not going to buy a McLaren F1 and give it to someone who's just learned how to drive. There is a learning curve involved here. I don't want to push you into buying a $1000 headphone then finding out that it doesn't sound as great as people say it is. You can start with something like a Sennheiser HD25-1. It's an awesome headphone for hard rock and it costs $200 and it doesn't need an amplifier. I've almost never find a person who doesn't like the HD25-1. See how you like that one, then we can go from there. The other thing is too I would be using this somewhat for video games as well so the really powerful bass would be nice to have. 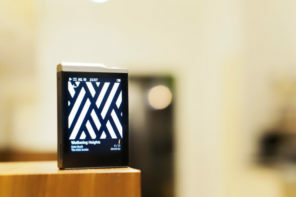 Also I was wondering about the whole amp/dac thing with the lcd-2 I mean i would get a good combo eventually but I can only afford the headphones now so iv heard these can be driven through an iphone would it damage them if ran them through a computer or iphone directly without the amp? It wouldn't damage anything – You just wouldn't hear them at anything like their full potential (bass may lack punch, details could be veiled and they could just sound a bit closed in/dull). 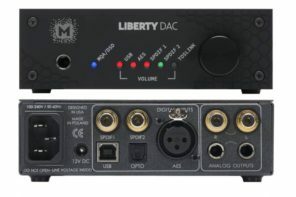 Rather than spending your entire budget on the headphones, I recommend that you consider a slightly less expensive set and leave some funds for a good quality all-in-one DAC+amp combo. 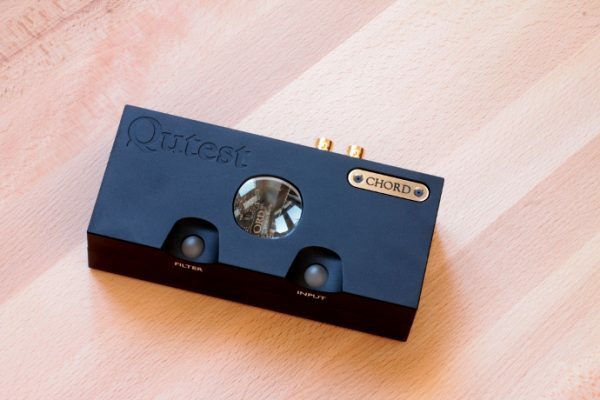 Something like the Audio-GD FUN Version A ($345) or the Audinst HUD-MX1 ($180 – reviewed on this site) for instance paired with some HD25s or even some HD650s (a bit over $400). 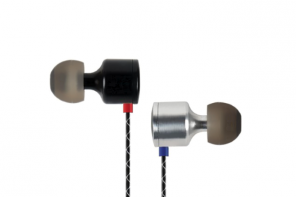 The 650s might suit you well because they also have a darker sound signature and strong bass. They will also scale up as you upgrade your system (many people still regard the HD650 in a balanced configuration as one of the best headphones ever made)! My set of HE-6s are sublime, but I still love my HD650s for modern pop/rock music, which sounds too harsh on the HE-6. To use a 'Mike style' car analogy, using the LCD-2 straight out of an iPod would be like driving a Ferrari below 2000 revs with the seat too far back to properly reach the pedals! The suggested combo might 'only' be a Porsche Boxster (a harsh way to describe a rig of such pedigree!) but you'd be fully equipped to put the pedal to the floor, explore [almost] every inch of the road and have a huge amount of fun! Yeah I think im gonna go a bit slower with this now i was kinda too keen and ready to blow too much money when i dont know all that much about it. what im thinking now is though I did find a hifi store about 4 hours away and although they only have grado headphones atleast that would give me a point of reference where iv never so much as heard a high end headphone before so i can have something to relate to atleast. Thanks for the comments. Yes, try some of the Grados first. That should be a good starting point. What kind of bluray movies? War movies or chick flicks?I'd go for the LCD-2 for Blackhawk Down and the T1 for my best friend's wedding. For stuff like LOTR and Star Wars, I'd probably get the HD800. I would no doubt agree that if you are after music that sounds like its comming out of the speakers then the lcd2's would suit best. But if you are after music that is more detailed with crisp treble and low entension,not necessarily more low end-just the extension then I feel HE-6 would suit more then likely. Depends,Movies need more bass constantly to give you the feeling of substance. Too much headphone listening causes high frequency hearing loss first. then the rest goes. So the first sign of high frequency hearing loss is a preference for brighter headphones or speakers or electronics or all three. Meaning the ear has lost its “flatness” and a headphone with flat response will sound dark. end of story. In addition to common hearing loss common in adults these days, and now children – one in five has been reported – that hearing loss continues during aging. As for accuracy/musicality, the two are not mutually exclusive. Some of the characteristics of high frequency boosting in a design, subtle it may be and sometimes even difficult to measure, is not only a perceived “clarity” in the highs, on transients, brushed cymbals, bells and whistles, but inner and overt details being “pushed” forward as a burst of flavor. These effects can be empirically tested and are used by designers of various audio equipment to hype their products – and hype the sound. Some of these effects are enjoyable, but real they are not. Which brings me back to the concert hall, the small recital room, and the recording studio. When you avail yourself of those experiences, as I have often done so, you can easily make decision as to which headphone is accurate AND musical. Comparing headphones to each other with no standard, no ruler, is a game for children. In the case of the above tests, it is relatively easy to make the decision as to which headphone is the superior one. In the case for accuracy and musicality, I chose the one with the wooden body. Thanks for the well written argument. Can you recommend lcd2 for trance music ? What would you say would be the best amp for the HE-6? There is a lot of amps, depending on your music preference and budget. I liked the HE6 with the Hifimediy TK2050, Matrix M-stage, and EF5. I can’t say I have found the perfect amp for the HE6, though. You need a good speaker amp to drive it properly. Why would one use a Jena wire that smoothens the treble of the LCD-2, do you think the LCD-2 has treble problems? I own the LCD-2s and used to own the HD800, T1 and HE60. Even though I had far worse amp for the HE60 I much prefer them to the HD800. The T1 is the worse in the bunch. The LCD-2s top my list so far, its the most neutral one of them. I used to own the HE-5 and HE-5LE which I like a lot less than the LCD-2s. I havent heard the HE-6. problems, and so that may be one of the reasons for the use of the Jena. took place. Hence the vast differences in recording levels. probably darker than the average modern stuff. different from one song to the next. detailed knowledge, meaningful interpretation is completely impossible. 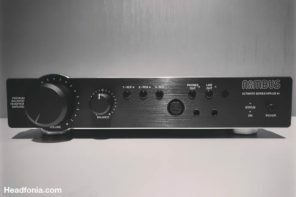 review of the Beyer T1. What do you do then? I still think you need to have some sort of objective measure for neutrality otherwise you are saying you need one set of phones for 70s rock, another for 90s and a third for audiophile recordings, whatever that is. My own measure of neutrality is to take my speakers, which are very linear, as is the rest of my gear, source and amp, and compare the sound of the speakers to the headphones and see which phones are the closest. Its not close to the speakers but the LCD-2s are the “least” furthest away. If the phones are linear they will sound the most like what the recording engineers heard in the studio and intended, unless one assumes that the engineers compensated for what they guessed the deficiences of the record buyers playback gear were. Agree one shouldnt build a cult, this is just electronics to let people experince the composers ideas. one set of phones for 70s rock, another for 90s, and so on. is that recording engineers record differently and master differently. Well one phone should be enough and if its good it will help you enjoy the music. One could also have several different cars, one with B&O system, one with Bose and another with Alpine gear so depending on what music you like to listen to you pick the “right” car, just kiddidng. Agree. That is why I said statements such as: “The LCD-2 is the best hi-fi headphone for Rock.”. The nice things about headphones is that you can afford to have multiple headphones and use the proper one for when you want to listen to a different music. With speakers and car audio, it’s very impractical. I just bought a recording of Sting Live in Berlin. Nice performance, but the recording is very unlistenable. Even out of my tube amp, the treble is still very harsh, the midrange dry and very thin. I don’t understand what the engineers are doing. Now take another recording by Chesky, and you can even listen to them on Beyer DT880s without the mids to feel dry and thin. Yes some are fortunate to be able to afford several 1000 dollar plus headphones and other can even buy several cars or house with several listening rooms. But for some one 1000USD phone might be all they can achieve if the work really hard. Bad recordings should sound bad and good ones good, but that dont mean you should have to alter the phone, a good phone to my ears can play all genres well not just excell at audiophile recordings because they dont have harsh treble. I dont think all speakers sound the same at its a necessary, just saying if you have found an “excellent” speaker and you can get remotely close with the headphones your very close to being done with selecting your correct headphone. But totally agree the LCD-2s sound very good with rock, and still havent heard the HE6 so they might be even better. But to my ears the LCD-2s are much more neutral/linear than the T1s and HD800, at least on my amp/source. And I would never reterminate them with a silver wire. Good copper wire beats even the 6nines, although I dont think cables make much of a difference. with the average Justin Bieber-like recording. V-Jays are two of my favorites for this reason. than the source and amplifier. 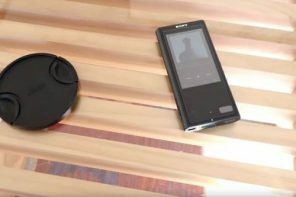 Ok, thats one way of doing things, but I dont like to “downgrade” the speaker/phone to listen to a specific recording and regarding absolute resolution I think the much older HE60 sounds better than the HD800, without any loss in resolution. Source transparency, I percieve the T1 and HD800 far brighter and further away from my speaker reference, using the same source and amp with speaker and headphone, compared to the LCD-2s. The recording should make a the biggest difference. 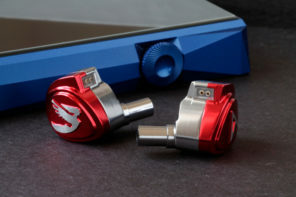 The biggest thing with all these more costly headphones though is that you can get very close to what some refer to as “hifi” sound for a LOT less money than with big speakers and amps. In the IPod world we live in, it would be very nice if Apple could narrow the distance even further with higher resolution downloads and slightly better dac/amp capability of the IPod, so all you needed to add was the phones. Guess you would need a car battery for the HE-6s though. – all knobs and sliders set at “0”. Then you can have a standardized “linear” headphone that will sound good with every recording. Problem is, they are not. of the speakers to the headphones and see which phones are the closest. Assumes that all speakers sound roughly, or more or less, the same. everyone listen to the same recordings as he does. Different genres would have different recording characters. recording gear, and by the same people doing the production. plates as opposed to whatever was used that day. living, suddenly become idiots in front of internet forum “experts”. latest BMW because the engineers have no idea what they’re doing. Sorry for going on a rant there. When I do a review, I try to listen to a wide range of recordings to get a general picture of how one headphone’s tonal balance would work with different recording types. Whenever people state one headphone as being “THE ONE”, you can be assured that he’s only making that statement on the assumption that everyone listen to the same recordings as he does. The more you dwell into hi-fi, the more you realize the vast differences there are between recordings. The same genre, but on a different era, would have different recording characters. The same genre, but different artist, different label, would have different recording characters. The same genre, the same artist, the same label, on different albums (i.e Studio recorded albums and Live albums) would have different recording characters. Which planar would you recommend for orchestral music? I like good soundstage and imaging. Thank you for the great review. 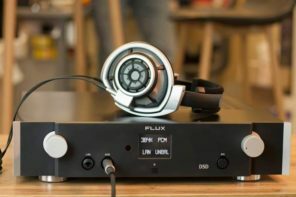 Do you think the LCD-2 will pair well with: Fostex HP-P1, TTVJ Slim, and ALO Rx Mk2 portable amplifier. Can you advice what I should expect with each combination please? Thank you very much. Get a good desktop amp like the Burson instead. It pairs great with the LCD-2. I havent found a portable set up that can do justice for the LCD-2. Do you think Fostex HPA-4 will be good enough for the LCD 2? I had plans on buying the TH600 that why i bought the HPA-4, but now I am in love with the LCD-2!! Just a thought until one of the experts comments: The LCD2 is very sensitive, and I drove mine fine with a Dragonfly. It’s 70 ohms but 101 db sensitivity at 1 mw, and the amp should provide about 40-50 mw at 70 ohms. But power is logarithmic, and 10 db is 10 times the power, so you should do well with average music tracks. Very low-volume tracks could be a problem, and huge dynamics might clip in some cases. If you can purchase it and return it, be sure to test it with some strong deep bass impacts. Real deep bass, like Markus Schulz – Mainstage. Hi dale!! Thanks for the prompt resonse I had seen your videos on youtube about the LCD 2!! Actually my main concerns in pairing the Fostex HP-A4 and the LCD 2 are sound quality would the ampifier be a bottleneck to the LCDs?? Based on your experience what would you say??? This may be a heresy, but I wouldn’t expect the HP-A4 to be a bottleneck for sound quality for the LCD2. Unless you had extremely demanding bass tracks and you weren’t getting maximum control and tightness along with full impact etc. Then again, we all want that and rarely if ever get that ideal bass. The high end and mids should be excellent. I don’t remember the impedance curve for the LCD2 – I think it’s OK, but if the impedance for a headphone varies wildly like the Beyer T1, you need to have a lot more power for that. Well thanks a lot dale I will see how i experience them, I basically love bass heavy electronic music, I will later see if I can pair them up with probably the lehmann audio cube linear I have heard great thing about it!!! Lehmann is good. One person I know said his high-end dealer let him use one for a few hours, and it was spectacular. I don’t think the normal bass-heavy sound is an issue, but really strong deep transients could be. But those are uncommon. I would be very surprised, but then again, if the Chinese edition is made as well it might be. You’ll probably never find anyone who can compare those – Lehmann owners rarely dip into the knockoff pool. And component quality is extremely important, down to the caps and resistors. To be honest, it wouldn’t raise the cost of the Chinese product a lot to include the best solid state components, but unfortunately when you’re making knockoffs it’s really hard to care about stuff like that. Thanks dale for your help ?? The BBC used the Sennheiser HD480II for year’s and still use them to this day. With the Canford upgrade they can outperform the West end girl’s class with a pure mother hugging beat. These East end boy’s were plying the street well before the fancy nancy boy’s first breastfeed.with all of their ooh ah, fancy pant’s jive. Yeah we all know that the BBC have their jive turkey’s ya’ll, but that don’t say that some of these well spoken, articulated opinionated, self androgenizing people havent put their Oxbridge education to some good use for us punter’s. These babies go so loud that my Onyko TX-905 just keep’s knocking off, and the louder these beauties get the more tingle’s you get in your ear’s. 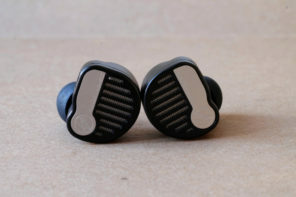 They are very comfortable and light to wear, spare part’s are easy to come by. Hell, you can put on silver Toxic cable if you want.